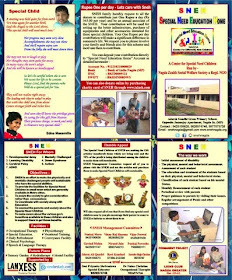 SNEH (Special Need Education Home) : An Introduction SNEH is an NGO involved in enhancement of skills of physically & mentally challenged children at Nagda Jn. 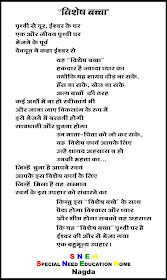 (MP) India. It is providing Occupational Therapy & Vocational training to Special need children to make them self sustainable in the society. Below are some activities which are self explanatory about SNEH.